Today, people communicate more through text mediums than they do voice. Whether it be texting, email or social networking, little fingers are tapping away furiously. A case could be made that emails are more valuable and more personal than phone numbers, and who wants to give that away to a stranger. 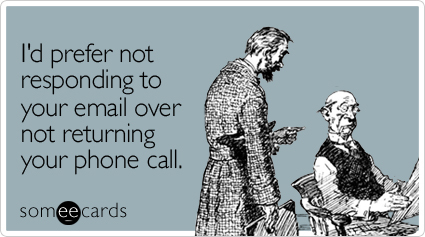 Especially if that stranger wants to call you everyday, multiple times a day to tell you about something you could care less about. Respect when you click "unsubscribe"
The truth is, I would love some way to communicate with you. It allows me to show you new products or announce sales. More importantly it's also a way to find out what you want and what I can do better as business owner.